TAMDEEN REAL ESTATE COMPANY was recently recognized by the pre-eminent international magazine “Euromoney” as the “Best Developer” in Kuwait for 2009, as published in its special issue. Euromoney is a leading premier magazine in the financial and real estate sector in the world and this is the fourth year in a row that Tamdeen has been bestowed an award for outstanding performance in this field. The Euromoney Awards for Excellence are now in their 16th consecutive year and are regarded as the benchmark awards globally. 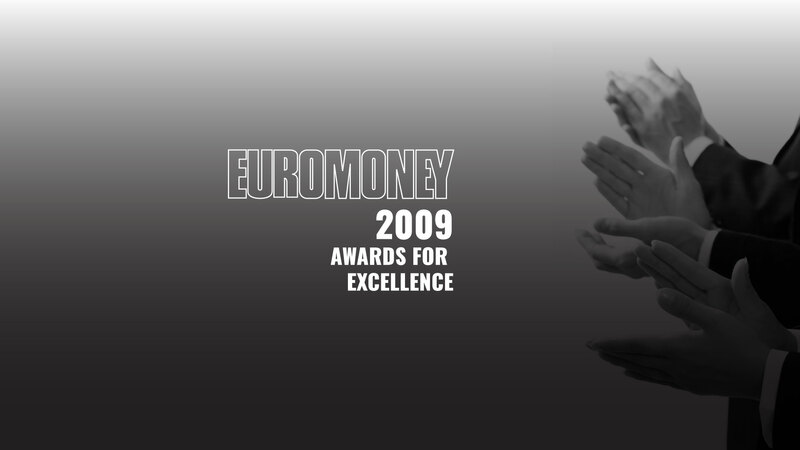 The prestigious Euromoney award was presented at an Awards and Dinner Ceremony held recently in London on 14th October 2009. Commenting on this achievement, Head of Corporate Marketing, Muath Al Roumi expressed his pride on winning this coveted award saying it reflects the company's leading position in the market and re-confirms its success in maintaining a high level of innovation; focusing on accomplishing excellence in strategy planning, quality control, innovative life-style and sustainable performance. He added that the company builds and develops real estate projects of integrated solutions and mixed-use for the country, taking care of its quality services and providing the best methods for a modern life-style. TAMDEEN REAL ESTATE COMPANY’S track record of regional and global awards relate to real estate in general and development of shopping centers, in particular. TAMDEEN has already won three awards in the years 2005, 2007 and 2008 from Euromoney, which confirms its leadership and outstanding performance and ability to serve the real estate industry. These services commensurate with international standards for this sector through the creation of a milestone in development of real estate projects with mixed-use urban and architectural character of excellence. Additionally, the company is utilizing all its technical, administrative and financial efforts to gain vast experience in the real estate fields, as well as respect the environment, heritage and identity along with changing according to modern times.